On episode 81 of the ChooseFI podcast, Brad and Jonathan interviewed Cait Flanders, author of the book, The Year of Less. In this book Cait detailed her journey with consumerism and debt, and her path to freedom from both. She experimented with lifestyle changes, did some soul searching, and even implemented a year long shopping ban. In 2014, Cait embarked on her first year long shopping ban. Her experiment was so successful, she decided to repeat it again in 2015. The criteria for her shopping bans were relatively simple–she was allowed to purchase consumables such as gas, toothpaste and food. Anything else had to be a necessity that couldn’t be mended or creatively created. She only allowed herself to purchase items that were completely in need of being replaced and used regularly, such as shoes that were completely worn out and needed for work. 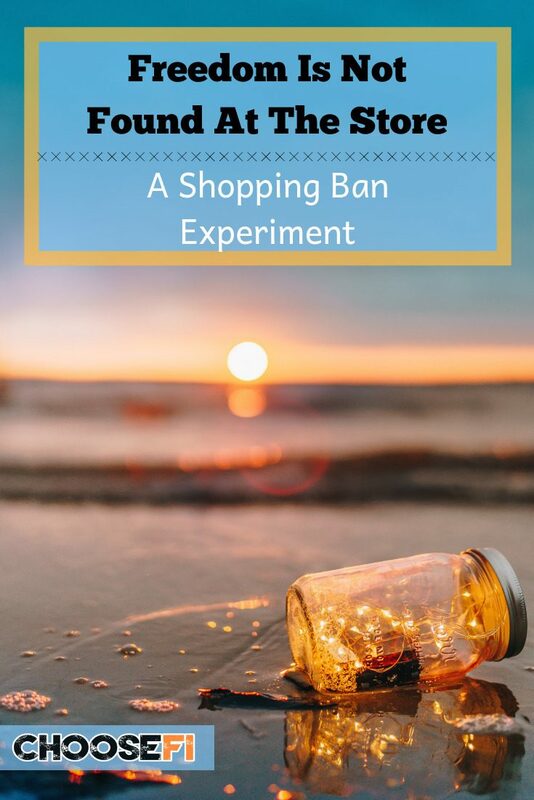 On her blog, Cait details a few helpful insights on why taking a year long shopping ban could be useful. Of course, there is more to it than the money saved. Starting with a month long shopping ban might be the way to start if the whole year feels overwhelming. But if you like a challenge, jump right in and see how a year long shopping ban can impact your life! Do you actually know how many hair products you really use or the products you like the best? If you open your bathroom cabinets to an array of different products in every category–everything from facial creams to deodorants; you may be unaware of which products you truly enjoy using. And how long it takes you to cycle through a bottle or tube. The kitchen pantry is another hiding place for items pushed to the far back, long forgotten, unused and possibly expired. Cait shared that many of us end up with way too many things in our kitchen pantries and medicine cabinets. Many of these items eventually expire because we simply don’t know what we have. Take note of what you use daily, weekly, or for special occasions. Then see what is still usable and what needs to be tossed. It doesn't need to be complicated. Paying attention is the first step. We often end up with too many different options in our possession because we don’t know what we like or how much we actually use. This leads to clutter in our closets and waste in our budgets. Consumables in our medicine cabinet and kitchen pantries are an easy place to begin. Our closets and our bookshelves, also, often have more than we need in them. One of the most brilliant things about a shopping ban is that you get the opportunity to address your past purchasing behavior. How many of us have workout equipment we don’t use? And yet, we purchase a new gadget because we think it will finally motivate us to get fit. How many books do we have collecting dust that we’ve never read? When we step foot in a bookstore, a temporary case of amnesia and a bit of emotional euphoria overwhelms our decision making, only to repeat the cycle and buy one more. When you can't buy something new, you have to face what you already own. It can be eye opening to see how many things you bought with high hopes but never actually used. Now’s the time to use that language software you purchased three years ago! But Wait–A Catch With Consumables! While one could argue that you technically are “consuming” Starbucks Coffee and last minute takeout, a shopping ban would argue back that these habitual purchases should be explored. What are the costs compared to the benefits? What would your life look life if you included a focus on reducing waste and spending by DIY’ing your food? If all pre-prepared food and beverages were included in your ban–you could see huge strides in your savings rate and your skills in the kitchen. It's likely you’d have less food waste, and more money in your wallet. A bonus would be to use all those kitchen gadgets you've been “too busy” to use and truly take stock of what you’ve already acquired. As part of her year long shopping ban, Cait also did a sizable purge of all of the clutter in her life. This created space for the things that mattered most. When you are in the midst of a shopping ban, you might look at the things around you with a different eye. Letting go of items that are just taking space is the next step. Additionally, it can affect relationships. You may have worries about the impact a year long shopping ban will have on your social life. Will people still want to be your friend if you’re not down for a weekend at the Outlet Mall or another night of bar hopping? 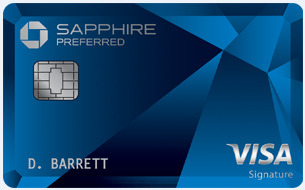 What will your family think if you ask to skip purchasing Christmas and birthday gifts? Part of this process is determining what is important to you. And you may decide that certain relationships, which were simply predicated on spending money and acquiring stuff, may be challenging to maintain. Conversely, you may find brilliant hacks and creative methods to still have fun–without buying stuff. Entertaining at home, hiking instead of shopping, and volunteering as a family instead of shopping for gifts are some simple options. It's likely to be challenging but it also may help you realize who deserves the most time and space in your life. Most of us have a fascination with owning things–we are taught, at a young age, ownership equals fulfillment. But a shopping ban turns that on its head. When you are not buying things and spending money simply to have “fun”– you’ll likely have built up some muscles to be willing to borrow instead of owning. Do you really need to own so many power tools and gadgets? Could you rent, borrow, or outsource? Can you learn how to repair or do something for yourself without a quick fix that’s promised in the purchase of a new item? What can you barter and trade amongst your friends? Borrowing has its perks! A shopping ban takes effort, creativity, and focus. Who better than the FIRE community to put this to the test! Check out Cait’s book, The Year of Less. It’s an excellent read. You can also read more about Cait’s journey with debt and minimalism on her site, CaitFlanders.com. PrevPreviousFrugal Vs Cheap–Where do you draw the line?